Principal Cast : Leonardo DiCaprio, Carey Mulligan, Tobey Maguire, Isla Fisher, Joel Edgerton, Elizabeth Debicki, Jack Thompson, Jason Clarke, Amitabh Bachchan, Max Cullen, Brendan Maclean, Adelaide Clemens, Steve Bisley, Vince Colosimo, Felix Williamson. Synopsis: A young aspiring writer becomes caught up in the party-hard lifestyle of his New York neighbor, a secretive, mysterious man named Gatsby. What we think : This is the Razzle-Dazzle Edition of F Scott Fitzgerald’s classic American novel, The Great Gatsby. Baz Luhrmann’s verbose, rapid-fire film style is again on display, in this gorgeously mounted extravaganza that delivers visceral visual pleasure but misses the mark on the emotional content. Luhrmann’s style is not for everyone’s tastes, and this Gatsby dips itself thoroughly into the highly stylized world of 1920’s US fantasy, leaving a lot of style and grandiosity standing where depth and coherence (and character development) should have been front and center. As an experiment, it feels slipshod, but as an eye-candy affair, it certainly delivers. Flashy and dashing, old sport. 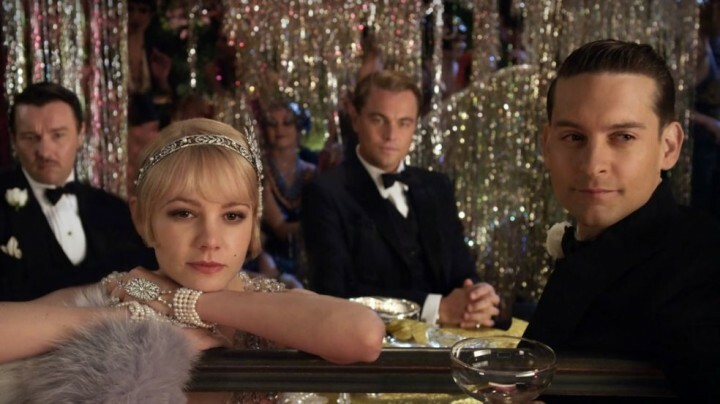 The fifth cinematic outing for F Scott Fitzgerald’s 1925 novel about the American dream leaves one gasping for breath by its closing arguments, dazzled and dazed by director Baz Luhrmann’s glitterati style and non-stop camerawork. While he may have his detractors, there’s little arguing that Luhrmann can certainly put together a film of color and excitement, with overt histrionics and passionate emotion bubbling away beneath the veneer of beauty; some might also argue that his films seem to exist as examples of high fantasy, nether-worlds of reality that traverse believability and convention, eschewing depth and character for a glossy theatricality (Luhrmann comes from the world of theater) that ends up alienating a large segment of his audience. Although I’m thoroughly unfamiliar with The Great Gatsby’s literary history aside from its impact on the world stage of writing, and at this point have yet to venture to view any other version of the story on film, I’m inclined to think that Luhrmann’s Gatsby is as close as we’re likely to get to a real “entertainment” edition of this American Dream fable, even if it does journey about 30 minutes too long, and becomes too elegiac for its own good. So what to make of Luhrmann’s Gatsby, a film so breathless and gee-whizz that it takes some getting used to, and a film led by a delightfully smooth Leonardo DiCaprio? 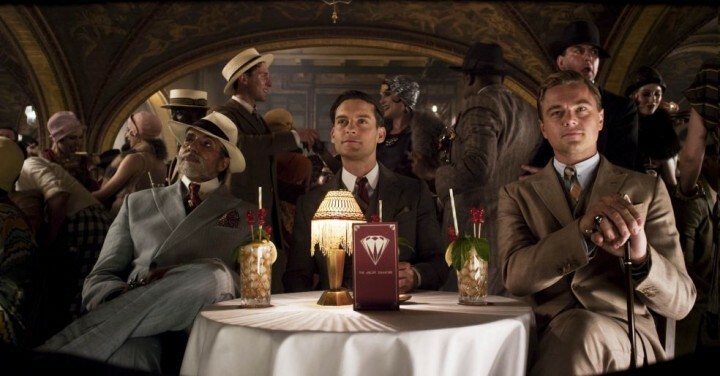 Is Gatsby another Luhrmann circle-jerk, or is it a film worthy of the nomenclature “great”? It’s the Moulin Rou- wait. Sorry, no it isn’t. Nick Carraway (Tobey Maguire) languishes in an asylum for alcoholism, and tells his doctor about a man he once met, a man named Gastby. In the mid-20’s, at the height of American wealth prior to the Great Depression, Carraway is hired as a bond salesman for a New York financial institution, and rents a small house on Long Island, where he commutes to Manhattan for work. His cousin, Daisy Buchanan (Carey Mulligan) and her husband Tom (Joel Edgerton) live in a house across the bay; Tom has a mistress, Myrtle (Isla Fisher) in Queens, who he is trying to keep secret from Daisy (although Daisy suspects his infidelity). Living with Daisy and Tom is New York socialite and golfer Jordan (Elizabeth Debicki), whom Daisy wishes Nick to hook up with. Nick also lives next door to the reclusive Gatsby, his sprawling mansion and luxurious grounds almost nightly swamped by people from the city looking to party. 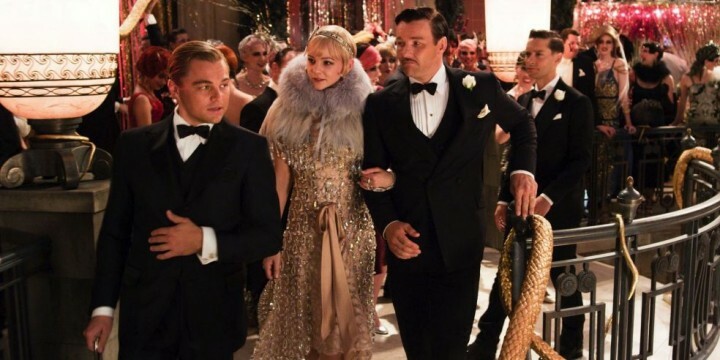 Nick is invited by Gatsby (Leonardo DiCaprio) to attend one of these parties, and the two become friendly as Gatsby inducts Nick into his world of opulence. Trouble brews, however, for Gatsby’s heart is set on recapturing an old flame from his (shady) past, and he wants Nick’s help to gain this favor back. Which brings Gatsby (and Nick) into confrontation with Tom and Daisy. Well, this strip show was awkward for everyone. Sometimes I think it’s a good thing not to have preconceived ideas about a project before you see it. Having no idea even what Gatsby was about allowed me to simply sit back and enjoy, appreciate, and be entertained by, Baz Luhrmann’s latest operatic cinema outing. Whether it’s “true to the story” or not, I couldn’t care (although I’ve heard plenty of folks complain about liberties taken), rather I enjoyed just soaking up the mystery, the story, the emotion of it all without having that annoying voice in my head saying “that’s not how I’d do it!”. The Great Gatsby is one of western literature’s great novels, if you believe the hype. Like Of Mice and Men and To Kill A Mockingbird, it has entered the lexicon of legendary American fiction, revered as a text by the literary elite and bemoaned by the teenage high-school crowd who have to study it. Throwing Baz Luhrmann at the story, however, might not make much sense initially, largely due to Luhrmann’s lack of restraint in storytelling, a facet of his work many find annoying and ineffective. Dude, didn’t you go down with the Titanic? Baz Luhrmann’s visual acuity is again on display here; not a frame of this film isn’t filtered through Luhrmann’s esoteric theatrical acumen, more often a freeze-frame picture-postcard example of high-definition glory that often overpowers the rather intimate and insecure story involved at the heart of the film. Gatsby needs vibrancy, at least in the opening, what with the Roaring Twenties in full flight and the raucous parties and orgiastic attitudes of the New York social set requiring maximum impact to counterpoint the inevitably tragic conclusion. Luhrmann seems drawn to tragedy – I guess it makes for great theater – and, like Romeo + Juliet, Moulin Rouge and Australia before it, Gatsby is essentially a tale of tragedy surrounded by the illusion of happiness, a recurring theme in Luhrmann’s work. Oh, such beautiful flowers. They’ll really trigger my hay fever. The excess of the 20’s is captured perfectly by Gatsby’s thunderous visual style. From the car-chases through Long Island, the parties in lofts and mansions in both Gatsby’s town and New York itself, and the terrific production design and costuming by Luhrmann’s wife Catherine Martin, The Great Gatsby sparkles and glitters like a freshly cut diamond, although the luster wears out towards the films latter stages, as the tragedy inherent in the story begins to unspool. The narrative follows Nick Carraway’s flashback-centric teeling of how he was introduced to Gatsby, and how this meeting would impact his life, leaving him disillusioned with not only New York, but society in general. The zip and zing of 20’s New York is exactly the kind of thing Luhrmann should be great at, and he is, it’s just that the script (by Luhrmann and regular writing partner Craig Pearce) can’t leverage the coolness of the era and period into something workable for modern audiences. It’s been nearly a hundred years since the time Gatsby was set, and although the ideologies and social dilemmas of that period are probably as pertinent now as they were then, the framing of them in-period is a pathway that often leads to a distance between storyteller and today’s modern audience. Another of Gatsby’s problems is length; the film wanders well into time-out territory as it sneaks past the 2-hour mark, with a markedly slow third act that tries to give weight to the emotional hand-wringing and melodrama of the narrative but feels….. labored. Luhrmann’s now-essential fast-start-slow-emotional-finish act is on display yet again, as the rapid-fire editing and gravity-defying camera antics make way for a more sombre note of emptiness, leaving the finale to feel more like a whimper than the charged-up moral tentpole on which the whole enterprise hangs. Luhrmann’s penchant for drawn-out conclusions, established by Moulin Rouge’s downbeat, almost suicidal concluding stanza, ensures that while Gatsby’s overarching magnificence and opulence remains intact, the impetus of the movie is lessened, almost lost entirely. 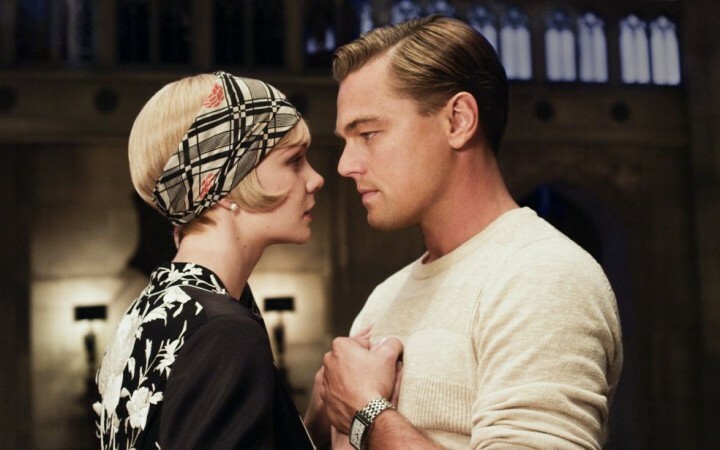 In saying that Gatsby is too long for its own good, I should add that I couldn’t actually think of any particular scene or sequence that might be excised without doing considerable damage to the overall narrative. Perhaps had Luhrmann tightened up the ending, the final twenty minutes, I’d have been more positive about the whole affair. Follow me to the gimp’s dungeon. I had it installed last month, don’t you know. Carraway is something of an oddity; as a narrator, he’s perfunctory and accessible, although as a character we know little about him. Come to think of it, the same could be said of almost all the characters in this film – Jay Gatsby included, although that’s part of his mystery – and the inability of Luhrmann to really give us a figure to hook our emotional journey to means most of Gatsby is sound-and-fury without context. 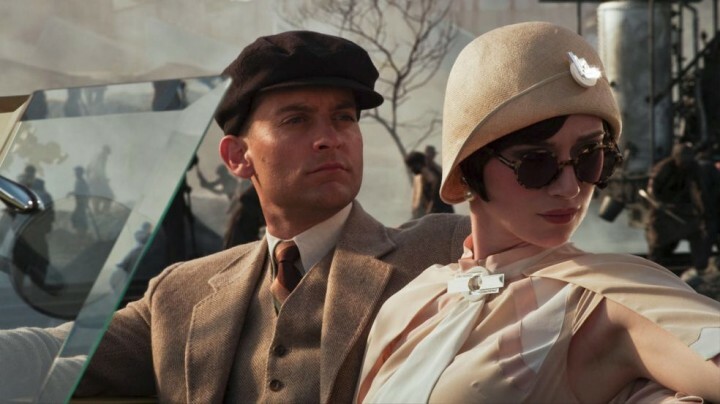 Why should we care about Nick Carraway, or his cousin Daisy, or anyone here, for that matter? Carraway’s almost an entirely blank surface (much like Tobey Macguire’s performance) on which nothing sticks, nothing emotes, and nothing seems to provoke a reaction whatsoever. Gatsby struck me as a kind of Orson Welles Citizen Kane-type figure, larger than life (and almost larger than the film), with some intended profundity of moral lesson to impart. What struck me was just how miniscule his content really is – in the end, he’s a love-struck Romeo and wannabe cuckold, which undercuts a lot of the earlier aggrandized posturing as somebody larger-than-life. You know you should really watch where you’re driving. Macguire has never been a favorite actor of mine (just don’t think he has the range, and am still to see any evidence to the contrary) but he does a good enough job with what little he’s given. Macguire plays comedy well, I’ll give him that, and his befuddled looks as Gatsby’s gregarious generosity and party lifestyle play out around him are a delight – but it’s a small offering on a large table. Leonardo DiCaprio nearly steals the show on his own, as Gatsby, the charlatanous recluse who recedes from fame yet garners it, simply to steal back the woman he loves. DiCaprio puts himself wholeheartedly into the character (as he should), and aside from the incessant “old sport” lines (dear Lord, did Fitzgerald really write the guy like this?) is utterly convincing in belief and emotional heft. 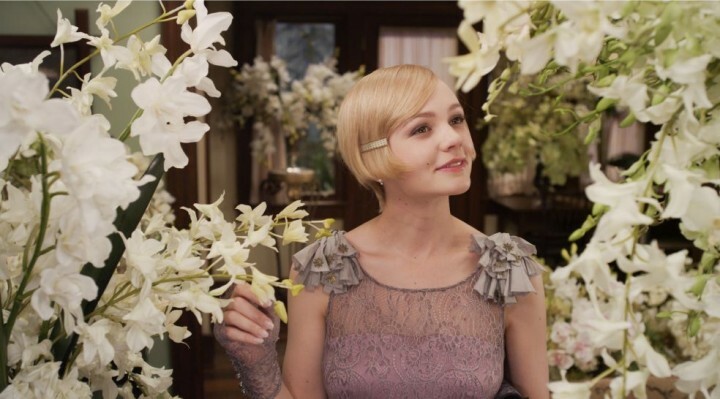 Carey Mulligan plays the central role of Daisy, and is luminous throughout; Daisy is a brutally indifferent role, though, even if she’s the literal meat-in-the-sandwich for Gatsby and Tom, forgoing truth for false idolatry at times when it’s perhaps detrimental. Mulligan nails the role, though, and is eminently watchable. Her chemistry with DiCaprio is tremendous fun. Is this supposed to be romantic? The rest of the film is filled with a lot of local Aussie talent (the film was shot here in Australia, at Fox’s Sydney studios), including screen veteran Jack Thompson (teaming with Luhrmann again after Australia) as Carraway’s doctor, Elizabeth Debiki as Jordan (whom Carraway labels as “the scariest person he’d ever seen”) and Isla Fisher, as Tom Buchanan’s mistress, Myrtle. Fisher’s role is criminally underutilized, or at least it felt that way to me – Fisher’s barely in the film save for a few key scenes, and I’d loved to have seen more of her, as well as better development with her relationship with Tom, and her own husband George (another Aussie talent, Jason Clarke). But it’s Joel Edgerton who’s this films biggest surprise package. Edgerton’s an actor who has existed on the fringes of stardom both here in Australia and overseas, and yet hasn’t quite capitalized on his ability. His role and performance in The Great Gatsby will surely catapult him into front-of-mind of film-makers going forward. He plays Tom Buchanan with the gruff, masculine exterior expected of men of that time, until the third act reveal of Gatsby’s true intentions pushes him over the edge. Had Tom been a complete boff, and had Edgerton played him as either an idiot or an outright cad, the character wouldn’t have worked in relation to Gatsby (who, I might add, does act like a bit of a cad!) and the film would have been poorer for it. Edgerton really gets the character, and delivers a performance worthy of the cause celebre. On the production side of things, Gatsby is a stunning film to see and hear. Visually, Gatsby looks astounding, crisp and sharp, with enormous New York vistas and a ton of visual effects blending seamlessly into the live-action components. 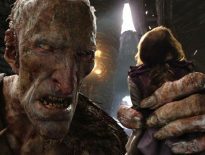 I compare this to Peter Jackson’s recent King Kong remake, which had cinema-goers scoffing at the obviousness of the use of green-screen in such a bloated budget film. Gatsby uses the same kind of style, but more often than not, you can’t tell where the reality ends and the fantasy begins – something I was thoroughly impressed by. Simon Duggan’s warm-glow cinematography is wonderful, giving the entire film a “modern fairy tale” feel that seems somehow complementary to the story. Craig Armstrong again provides robust assistance with the orchestral/electronic score, while rapper Jay-Z executive produced a lot of the songs throughout. 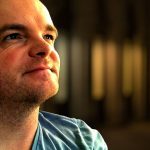 If I could figure out why Luhrmann decided against using Jill Billcock to edit the film (opting instead for the trio of Matt Villa, Jason Ballantine and Jonathan Redmond) I’d offer my sympathy – Billcock’s razor-sharp skills would be preferable to the by-committee work on offer here. The editing is, like Moulin Rouge, all about the glitz and glamor, yet occasionally trips into incoherence. If you can tell me what’s going on, I’ll give you a dollar. The Great Gatsby strives to achieve the equivalency of greatness afforded its literary legacy. It does not succeed. This Gatsby will be lamented by the establishment as a well intentioned experiment, perhaps even a brave avante garde work of art, but it cannot be called (in this or any other world) a success. Luhrmann’s visionary style and epileptic film-making aesthetic will put off most, entertain many, and utterly confound the rest. It comes down to personal taste: Luhrmann’s a director I love, and have loved since Strictly Ballroom, and I found his Gatsby a delicious, delightful entertainment that I will have to re-watch numerous times, but I can understand how others might (will) baulk at the heady extravagance laid on here. It’s a thickly visual experience, and one worth celebrating as a work of art, but whether it stands the test of time… well, only time will tell. How strange, I'm actually listening to the soundtrack right now haha. There's a lot to admire about Luhrmann's version, and I did like a lot about it. However, I don’t think they stayed on the same shot for more than five seconds. Just bounding from one angle to another. So hyperactive! I guess you could argue that the "one edit every five seconds" thing is Luhrmann's style, because he's utilised it in almost every film since Romeo + Juliet (Strictly Ballroom is a fairly straightforward film in this regard), so expectations that it would be otherwise probably needed to be avoided, but having said that, yes, it's fast and frenetic, just the way I like it. And it's a killer soundtrack – how's that for serendipty, you listening to it as well!!! I'm not sure your 8/10 is depicted in your review, but you make a lot of good points. Leo owns the movie until Edgerton gets to shine, and then you really see some talent going. Glad you recognized that as well. One of the most under-looked performances of the year. I think you've hit the problem I had even writing this review, Nick. I really enjoyed the film for what it was, but as I was writing the review and picking things apart, I came to the realization that it wasn't the "greatest" film ever made. In pointing out the faults I found, though, I still couldn't get past the fact that I had a blast watching it! Honestly I've never found Edgerton that great a performer (a lot like Sam Worthington, really) but he does a terrific job here. Avante Garde is about the best thing one could say about this movie. I think you rated it a bit too high. You said, "eschewing depth and character for a glossy theatricality" and you totally nailed it. That's exactly what this movie is. It's style over substance. And therein lies its faults. The book had a real message, and Luhrmann didn't really get it. Or if he did, he chose not to focus on it. Nice review. Ha ha, see my response to Nick above re the rating on this film, Mr Brik. I think the faults people had with this film are indeed the lack of warmth and heart the film possesses, but in saying that, I still enjoyed it. it's highly theatrical, embodying exactly that which Gatsby himself aspired to: style, class and fun, even at the expense of subtlety. I enjoyed this one quite a bit too Rodney, though it's definitely style over substance. I think that's perhaps the point though, the style mimics how Gatsby lives his life, opulent and lavish but empty inside. I LOVED Moulin Rouge so I really need to see Strictly Ballroom soon! Thanks Ruth – I agree that Gatsby the film does mirror Gatsby the man in his external extravagance but empty interior. Nice pickup! I think you'll enjoy Strictly ballroom, but a warning: it's highly Australian, so get ready for quirky Aussie humor!!! 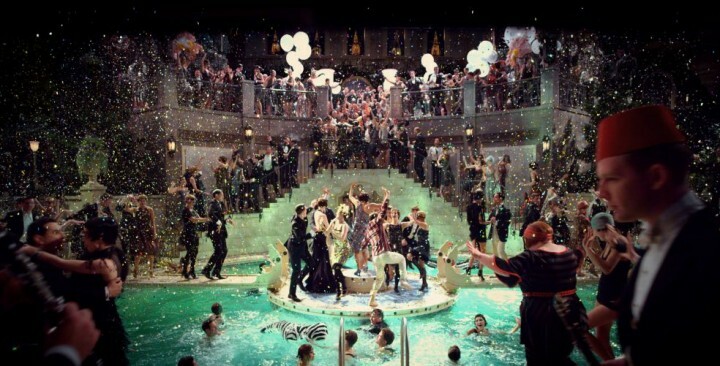 When it's acting as if we are at one of Gatsby's celebrated-balls, it's a wonderful time. However, Luhrmann just isn't as capable of a director at making sure that the emotions run high and run well when things slow and soften down. Good review Rod. Agreed, Dan, he's good as hyper-real giddy-school action, but when the slower moments show up he does seem to lose his way a bit. I'm not sure why that is, though; perhaps he thinks every scene needs to be amped up to 11 to sell the story (we know it doesn't, but hey) – what do you think? Great review, Rodney. I quite liked the film and felt Luhrmann captured the color that Fitzgerald intended with his novel very well. My problem was more with how much CG they used on the film, but I find it very underrated and think it's the best adaptation of Fitzgerald's classic to date. Thanks Whiff! I didn't really mind the CG on this one, I think it added to the "fantasy" feel of the story overall, that kinda of enhanced fairy-tale he did so well on Moulin Rouge… Perhaps I'm a little to used to the green-screen-CG look now thanks to its overuse in the majority of Hollywood fare these days! Glad you enjoyed this one as well – the more love it gets, the happier I am! Oh, what did you think of Luhrmann's Australia? I'm beginning to wonder if that wasn't the point somehow, to show just how empty gatsbys life really was throughout the movie. I doubt luhrmann is that clever a director, and if he is, he missed the mark quite widely, but I did enjoy it for the garish, shallow, thunderous entertainment it turned out to be….